Reply on the Competition post on the Afternoon Express Facebook page (www.facebook.com/afternoonexpress/), during the competition period and state how many women out of 10 have complained about dandruff or an itchy scalp? Entrants must use the hashtag #Livescratchfree in their post. 1.1. 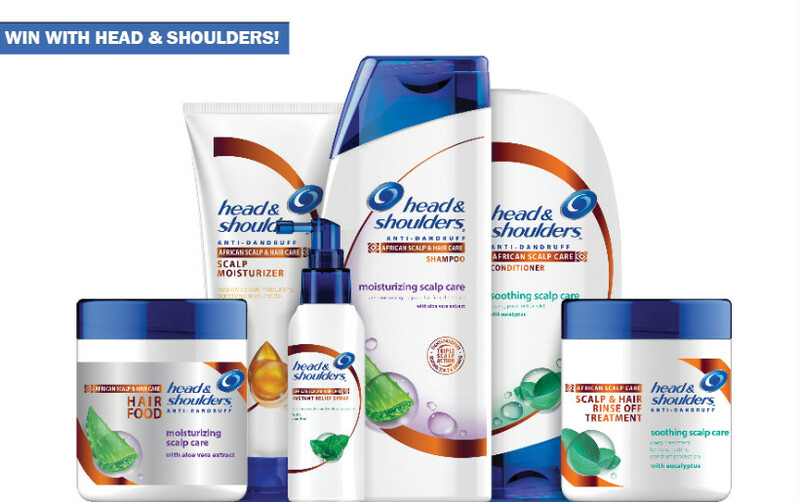 The Afternoon Express New Head & Shoulders African Hair & Scalp Care Competition (Competition) will be run by Cardova Trading (Pty) Ltd in association with Proctor & Gamble South Africa (Pty) Ltd (Organisers/we/us/our). 1.2. Each person entering the Competition (entrants/you/your) and/or accepting a Prize in terms of this Competition agrees and accepts that the Competition rules as set out in these terms and conditions are binding on him/her. Entries for the Competition will open at 16h00 Thursday, 22 June 2017 and will close at 17h00 Tuesday 27 June 2017 (Competition Period). 3.1.4. you must be a natural person. 3.2.3. you are a supplier of goods or services in connection with the Competition. 4.1. Reply on the Competition post on the Afternoon Express Facebook page (www.facebook.com/afternoonexpress/) during the Competition Period and state how many women out of 10 have complained about dandruff or an itchy scalp? Entrants must use the hashtag #Livescratchfree in their post. 4.2. Once you meet the requirements set out in clause 3 above and this clause 4, you will automatically be entered into the Competition. 4.3. There is no restriction on the number of times you may enter, provided that each entry is unique (i.e. not the same answer). 4.4. No automated entries will be allowed. Entries must be made manually by a natural person. 4.5. If your entry is submitted in a manner that in the sole discretion of the Organisers will provide you with an unfair advantage over other entrants, you will be disqualified from the Competition. 4.6. You are required to attend to the cost for your entry, including standard internet costs. 5.1. A panel of judges, who are appointed by us, will select 1 (one) entrant (Winner) from all valid entries received during the Competition Period as the winner of the prize herein. The Winner will be the entrant who is determined in the sole and unfettered discretion of the judges as the entrant who submitted the most entertaining entry. 5.2. We will notify the Winner by commenting on the Winner’s entry post within 24 (twenty-four) hours from determination of the Winner to request a copy of the Winner’s identification document in order to validate his/her entry and to request further contact details. 5.3. If the Winner does not reply to the notification message sent by us by within 24 (twenty-four) hours from it being sent by us, the Winner will forfeit the Prize and will have no claim against us. In the event of a forfeiture as contemplated herein, we shall have the right to select a different entrant on the same conditions. 6.1. 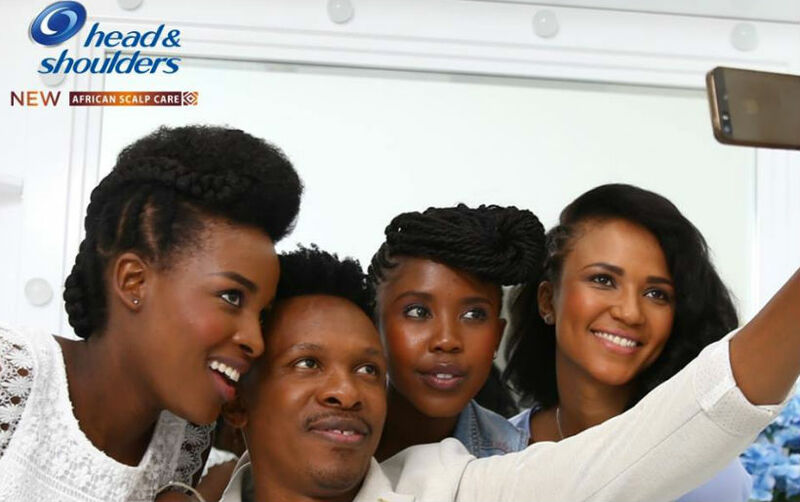 The Winner will receive a New Head & Shoulders African Hair & Scalp Care Range hamper to the approximate value of R 500.00 (Five Hundred Rand) (Prize). 6.2. The Prize excludes all items not mentioned in clause 6.1 and may differ from images or items used in marketing material for the Competition. 6.3. We will contact the Winner to receive all necessary information to deliver the Prize and the Prize shall be delivered to the Winner at an address within the Republic of South Africa within 20 (twenty) business days from confirmation of the Winner. 6.4. The Prize, or any part thereof, may not be exchanged for cash any other item. Prizes are not transferable. We reserve the right to substitute the Prize, or part thereof, with any other prize of a similar commercial value. 7.1. Any reference to the Organisers/we/us/our includes the directors, members, partners, sponsors, agents or consultants of the Organisers, where the context allows for it. 7.2. The Winner will only be confirmed once a valid copy of his/her identification document is received and a validation process has taken place. 7.3. The Organisers' decision regarding any matter concerning the Competition and/or arising out of these terms and conditions, including the determination of the Winner, is final and no correspondence will be entered into. 7.4. We reserve the right to amend these terms and conditions during the Competition Period should it be deemed necessary on our sole and unfettered discretion. 7.5. Where relevant, if a Winner does not accept the Prize as required herein, if an entry is not valid for whatever reason, if a Winner has breached these terms and conditions, if a Winner renounces the Prize or we deem such Winner to have renounced the Prize, we reserve the right to declare the Prize forfeited and/or choose a new Winner. 7.6. Nothing in these terms and conditions is intended to, or must be understood to, unlawfully restrict, limit or avoid any rights or obligations, as the case may be, created for either the entrants or the Organisers in terms of the Consumer Protection Act, 68 of 2008. 7.7. We will need to process your personal information to validate your entry as well as to contact you for marketing purposes and, if you are a Winner, to make the Prize available to you. By entering this Competition, you specifically and expressly consent to us processing your personal information for these purposes and you specifically and expressly consent to us contacting you for marketing purposes. 7.8. We assume no risk and/or liability whatsoever for the failure of any technical element in the Competition which may result in your entry not being successfully submitted and/or the Winner not successfully receiving or taking up the Prize. Once the Winner accepts the Prize, the Winner accepts the Prize at his/her own risk. 7.9. We assume no liability whatsoever for any direct or indirect loss, harm or damage arising from your participation and/or any Prize awarded in the Competition or for any loss or damage, howsoever arising. All persons, whilst participating in this Competition, indemnify and hold us harmless for any loss, damage, harm or injury (whether arising from negligence or otherwise) which may be sustained as a result of any claim, costs, expense, loss or damages which may be made by any third party. 7.10. If required by the Minister of Trade and Industry, the National Consumer Commission or for whatever other reason, we will have the right to modify or terminate this Competition with immediate effect and without notice of such modification or termination. In such event, all entrants hereby waive any rights, which they may have against us and hereby acknowledge that they will have no recourse or claim of any nature whatsoever against us. 7.11. The Competition is in no way sponsored, endorsed or administered by Facebook and any correspondence related to the Competition should be directed at us and not Facebook.